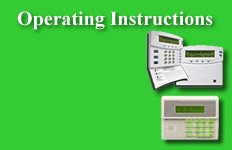 If you have an alarm system, be sure it has a secondary communicator. For instance, it will dial over the phone line and has a cellular backup as well. If one fails, the other will ensure the monitoring system is reached. Since 1995, ABC Security has specialized in custom-designed security systems to protect both homes and businesses in Gray. For both commercial and residential applications in Gray, we install only the best equipment, proven through field use. All of our systems carry a full one-year guarantee covering both parts and labor.